On August 25, 2 separate Chinese surveillance aircraft passed through Taiwan’s airspace on their way to the South China Sea. The Taiwanese Air Force scrambled combat aircraft to pursue Chinese surveillance aircraft that made four separate intrusions into Taiwan’s airspace within less than 12 hours, a senior Taiwanese military official confirmed on August 26, one day after the standoff. According to information provided by Taiwan’s Ministry of National Defense, the first intrusion occurred at 8:33 a.m., when a single Y-8 Maritime Patrol Aircraft that had taken off from Chenghai, Guangdong Province, passed through the southwestern margin of Taiwan’s Air Defense Identification Zone (ADIZ). The aircraft cruised through the zone for approximately 10 minutes at an altitude of about 22,000 feet before exiting the zone and heading for the Philippines, one of China’s principal adversaries in escalating territorial disputes over areas of the South China Sea (Taiwan is also a claimant). The Y-8 passed through the same area at 10:56 am on its return journey to China, again spending about 10 minutes in the zone. On both occasions, Taiwan dispatched Mirage 2000-5 aircraft to shadow the intruder. A second incident, involving a different Y-8 from Chenghai, occurred at 2:31 p.m. as the aircraft headed for the South China Sea and at 4:57 p.m. as it returned to base in China. This time, Taiwan scrambled F-CK-1 “Ching Kuo” Indigenous Defense Fighters to intercept the aircraft. 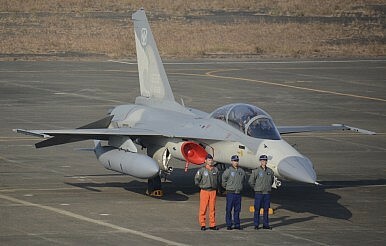 The Taiwanese Air Force did not confirm the number of aircraft that were deployed during the two incidents. “We followed them closely to make sure they left our ADIZ,” Taiwanese Air Force Major General Hsiung Hou-chi told reporters on August 26. In the past, Chinese military aircraft heading for contested areas in the South China Sea normally made detours to avoid entering Taiwan’s airspace. As there were two separate incidents on the same day, we can probably rule out pilot error, which appears to have been the case in June 2011, when two Chinese Su-27 combat aircraft “inadvertently” crossed into Taiwan’s side of the median line in the Taiwan Strait while on a mission to drive away a U.S. U2 spy plane. The intruders did not turn back until the Taiwanese Air Force sent two F-16 fighter aircraft to intercept them, prompting some military observers to ask whether Taiwan had “rescued” the U.S. plane. Given what we know, we can conclude that the August 25 intrusions were intentional. One possibility is that the People’s Liberation Army (PLA) was seeking to gauge Taiwan’s surveillance capabilities and response mechanism. Chinese electronic surveillance aircraft last year committed similar intrusions near Okinawa and close to the disputed Senkaku/Diaoyu islets in the East China Sea to — it is speculated — evaluate Tokyo’s ability to respond (Japan’s response was to scramble F-15 aircraft). Soon thereafter, China declared its controversial ADIZ over the East China Sea. Some analysts believe that China is drawing up plans to establish an ADIZ in the South China Sea, though Beijing has yet to give any concrete indication that it intends to do so. Alternatively, the intrusions may have been more political, done in reaction to a recent confrontation between a J-11 fighter aircraft from the PLA and a U.S. Navy P-8 Poseidon surveillance plane near Hainan. After that incident, Beijing’s requested that the U.S. military cease conducting close air surveillance operations in international waters along its coast. If they were indeed intentional, the latest intrusions could signal a further denigration of Taiwan’s sovereignty, perhaps driven by Beijing’s more pressing imperatives within the region (i.e., the South China Sea disputes). So far this remains an isolated incident. Much more concerning would be if such intrusions became part of a pattern. The incident calls for vigilance on Taiwan’s part, and serves as a reminder that despite the current détente in the Taiwan Strait, the island must retain the ability to control and defend its airspace.